Welcome back! Wait, I guess that would be me talking to myself. I feel like I am kind of a stranger on my own blog because I haven't posted for so long! But something has been holding me back from sharing. I can't really put my finger on it. All this stuff is fun to talk about and of course, I have some delightful pictures to go along with it all (think flower girls and more!). Things have been busy but not so busy I can't post. Nothing is over-the-top exciting or sink-in-the-pit depressing. We are here, doing our thing. The usual. Maybe that's why. But this post is supposed to be about rubber cement, you say. That title is what drew me in here in the first place - so what's all the explaining about not blogging got to with it? I was thinking about rubber cement the other day. I used it pretty much every week in my elementary art class. You remember the stuff, right? It would stick to your fingers and you'd have to rub them together to get it off. Boys would run around shoving in your face and saying it was a booger (ewww). Ah, those were the days. I feel like my life is a little like rubber cement right now. It's like I have this fake booger stuck to my fingers. I am completely aware that it is not literally a booger, that it is just sticky glue-y stuff. Just like I am aware that there is nothing really wrong with my life, we have been blessed beyond measure. But for some reason I still think the sticky stuff is a gross nasty booger and I want it to get off. It's like it's irritating me all the time. 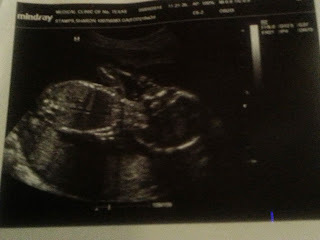 And since there isn't anything really wrong in my life, I keep telling myself - "It's not a booger! It's just some rubber cement so roll it up and flick it off already!" Since it is just rubber cement, I can't figure out how to explain how I feel to anyone else - like I need some moral support but don't know what I need or how to get it. I can say "Hey, I have this glue on my finger and it feels icky like a booger." And then they will say, "Hmm...that's weird. You're fine; it's not full of germs or anything, it is really is just glue. Just wash your hands now and we'll go shopping." Know what I mean? I know this comparison is stretching it, but it is kind of the reason why I don't feel like posting. Because of the booger on my fingers. BUT that being said, I am trying to clean off my fingers so they can again type and publish posts and upload pictures, and be witty and a little entertaining. :) Keep checking in, okay? 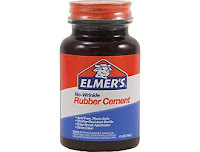 DISCLAIMER: The reviews and opinions of Elmer's Rubber Cement are mine. I was not paid or compensated in any way. I did not even get a free bottle. And the picture comes from Staples.com. In case you are needing to buy some rubber cement to get your very own fake boogers on your fingers. Hee hee. Oh my sweet friend how I have missed your posts :) I have found that FB seems to take some of my interest away from blogging. But I still enjoy a good picture/story...so I keep blogging! Plus my kids do so many strange/funny/interesting things I need to post it more than one place, haha! Hmmm....very true, my sis. Very true. So....moral support for the cement (and anything else!) is only 30 minutes south of you. :) Love ya. love and miss you and all your boogers!